Gov. Samuel Ortom of Benue says the Peoples Democratic Party (PDP) would win the 2019 presidential election overwhelmingly. Ortom stated this on Monday in Makurdi when a former governorship aspirant on the platform of PDP, Mr Dave Iorhemba visited him. â€œWe will support both the Independent National Electoral Commission (INEC) and the Federal Government in order to have credible elections. â€œWe will also guard against electoral manipulations. Nobody will be allowed to rig election in Benue. We will vote and guard our votes,â€ he said. He said they would work to ensure that PDP win at the ward, district and LGA levels, stating that they had been doing it over time. 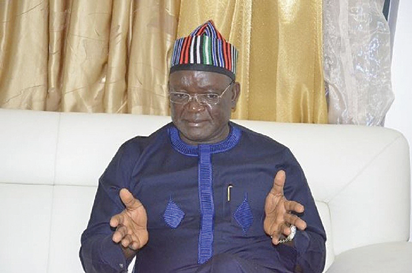 Also, the Director-General (DG), Iorhemba governorship campaign organisation, Mr Iorhen Shirsha, said they had all agreed to work tirelessly for the re-election of Ortom during the 2019 general elections.